How to fix Kernel Auto Boost Lock Acquisition Error? Whenever Microsoft launches a new update in Windows, every user tries to get a hold on it and buys the latest version. Similarly, when Windows 10 was launched, it offered state of the art features to its users, but some customers started facing issues such as “BSOD’. It is also known as “Kernel auto boost lock acquisition” error. When this error occurs, users usually see a blue screen when they start the system. There can be two reasons behind this error. One is the Bluetooth device, and another is a wireless adapter. To fix this issue, first, you have to start your system in “Safe mode” as “BSOD” will not allow you to turn your computer on normally. To enter the safe mode, you can use advanced Startup. The process for accessing advance setup is as follows. Step 1: Click on “Start” and select Restart option. Step 2: Hold the “Shift” key when you click on “Restart” option. It will start the computer in safe mode but if it does not happen then follow the next step. Step 3: Press “F8” key or “Shift” + “F8” keys when booting process is going on. Step 5: Select troubleshoot advanced options and then go to the startup settings. It will allow you to enter the safe mode in the system. Now your device is ready for the treatment. Following are the methods by which you can fix this error on your own. Sometimes a wireless adapter can be the reason behind this error. Disabling the adapter can resolve this issue. Step 1: Press “Windows Key” + “X” key and go to device manager. Step 2: Locate the wireless adapter and right click on it. Step 3: Select “disable” from the menu. After following this process, you have to restart your system. If the error persists, then look for the other methods below. But If this works, then you might have to use Ethernet connection instead of a wireless one as this will make sure that wireless adopter was the reason behind error generation. Make sure that the Bluetooth devices are disconnected when you turn on the system. Sometimes this can act as a cause for this error. If the issue does not resolve, then you can try uninstalling and disabling the Bluetooth driver. Following is the process by which you can do this. Step 1: Press on “Windows Key” + “X” key. It will open the device manager. Step 3: Select “disable” from the options stated in menu. Dynamic network attached storage is a type of file storage device that provides the local-area network with file-based shared storage through a standard Ethernet connection. Sometimes due to malfunction of this, your system can experience “BSOD” error. Here you have to use “Command Prompt” for checking the errors on the disk. Following is the process of applying this method. Step 1: Click on the “Start” button and launch Command Prompt as administrator. Step 2: Type the “chkdsk C: /f” command and then press “Enter” key. Step 3: Replace C with the letter of your hard drive partition to D.
Here if you do not use the /f parameter, then “chkdsk” will display a message which will indicate that the files need to be fixed. It will not resolve the error but will guide you to the reason behind it. You can solve this issue by updating the “BIOS” settings also. By performing this method, you can remove compatibility issues and can boost your system’s performance. Here, proper installation is required because if the process is not conducted correctly, then it can lead you to a collapsed device. Remove all the external hard drives from your system, as sometimes this can act as a reason behind the system failure. After disconnecting the devices, restart your laptop. If the system starts normally, then an external hard drive was the reason which created this error. It is possible that you may not get benefits from above-mentioned methods. If the problem persists, then you need to take technical advice from an expert. 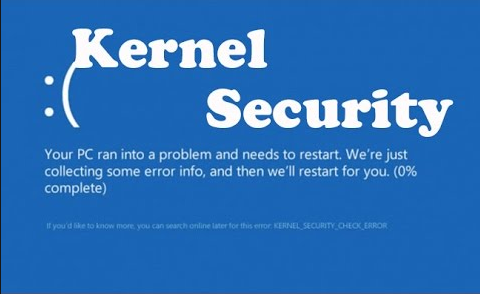 Call @ 042053349 to UAE Technician expert Team to resolve the all error related to Kernel issues. How to fix Laptop Hard Disk Error?